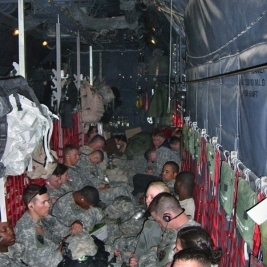 Commercial air travel is more comfortable for passengers on a bad day than it is for C-130 passengers on a good day. And this was a bad day. When our passengers sat on pallets (combat loading), that was coach class. When they sat on bucket seats that was first class. This day was first class. 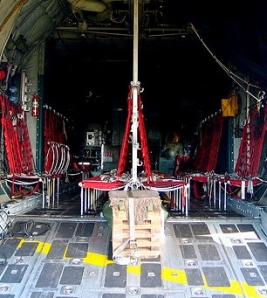 Those bucket seats are attached to the airplane's sides and to stanchions down the center of the cargo compartment, so passengers travel sideways. This helps passengers get to know each other better because they sit knee-to knee and during takeoffs and landings they lean against each other. We loaded up our pax for Hue and Danang. 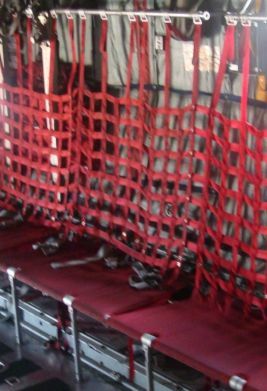 Meanwhile the loadmaster found hydraulic fluid leaking from the aux system pressure transmitter behind the right side seats. There's also a direct-reading gauge so we just capped off the line for the remote gauge. It probably did not instill confidence as the passengers watched the hydraulics man working on our leaky plumbing. But with that taken care of, we started engines and taxied out. Before the first takeoff of the day I ran up the engines to full speed to verify that all was well in that department. 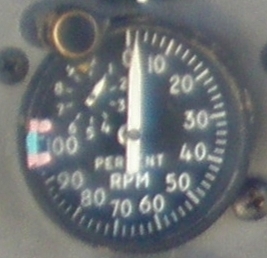 Unfortunately the tachometer showed that the #4 prop was fluctuating badly. Uh oh. 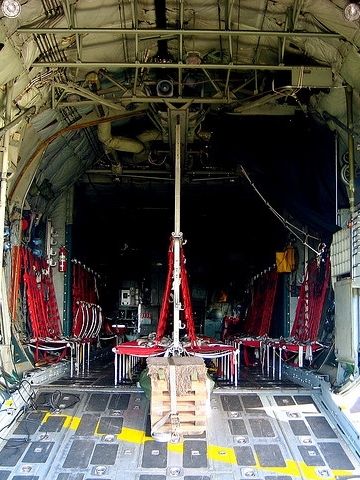 C-130 engines are supposed to run at a constant speed--only the angle of the propeller blades should vary. We called maintenance and taxied back in. 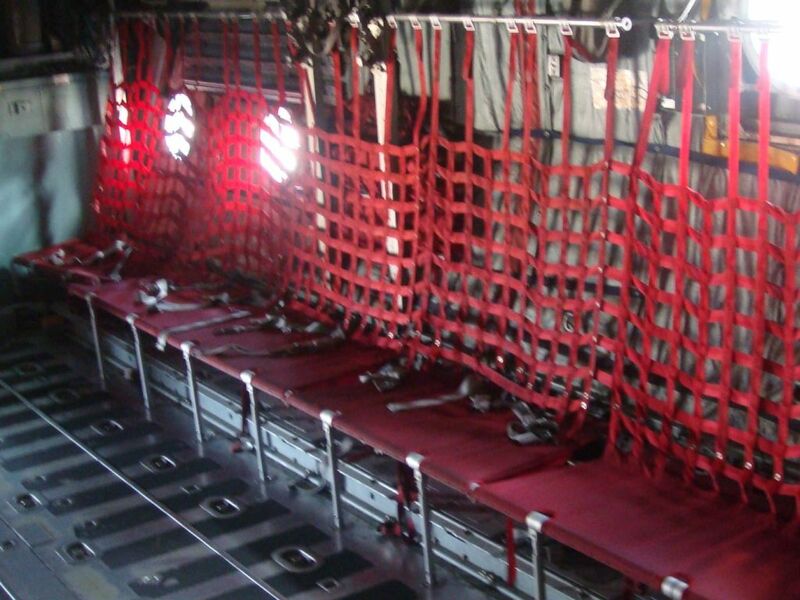 The passengers remained onboard while the prop man worked on #4. He said it was all fixed so I taxied out and ran it up again. The fluctuation was better, but still out of limits so we taxied back in again. Sigh. 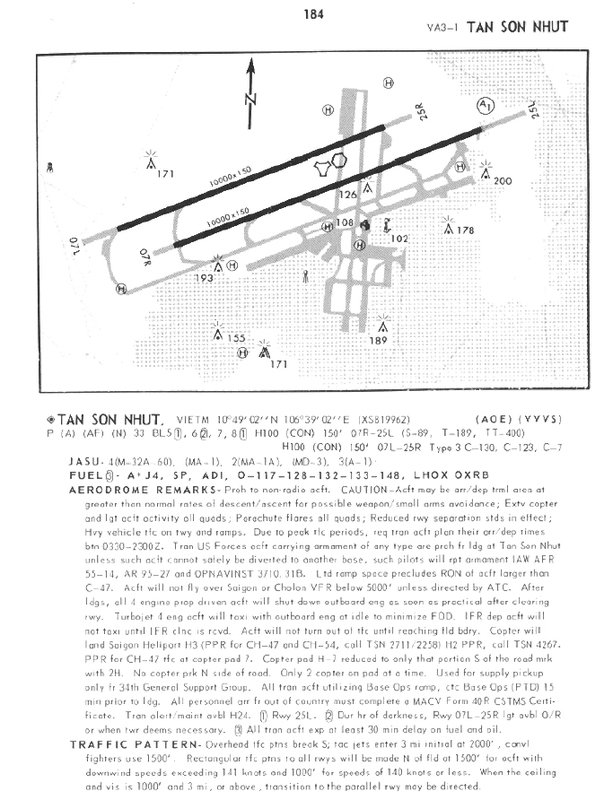 Again they tweaked #4 and again we taxied out. When I ran it up again, the prop was still fluctuating, but within limits. I still had a hinky feeling about #4, but not liking the airplane wasn't a good enough reason not to fly it. So I took off. On climbout, #4 confirmed my hinky feeling. The fluctuation got much worse--now three times the max allowable. 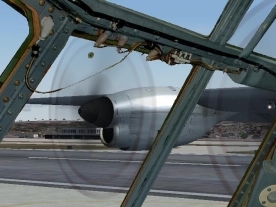 If a prop fluctuates too wildly, it can decouple from the engine. And if the prop goes out of control it can leave its usual position on the wing and crash into the fuselage or another prop. Would not want that. So we climbed up to traffic pattern altitude, ran the engine shutdown checklist, and feathered #4. 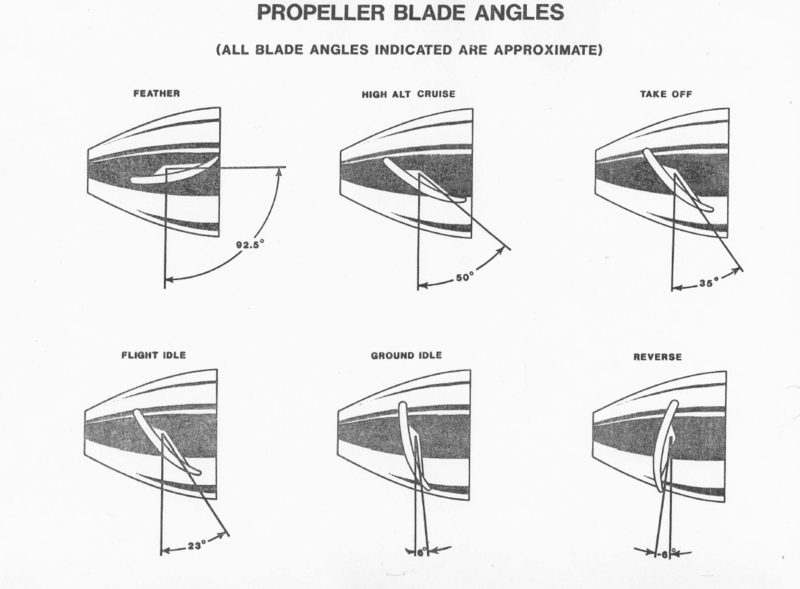 That stopped the engine from turning and set the prop to its maximum blade angle so it had the least wind resistance. 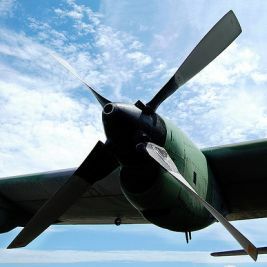 When pulling the condition lever to Feather, pull it all the way to the detent to assure the propeller is fully feathered when the engine fuel is shut off. If binding occurs or condition lever will not move, immediately pull the fire handle. If the lever is left at mid-position, and NTS is inoperative, an engine decoupling is possible. This was my first "opportunity" to feather an engine and make a three-engine landing, but I'd practiced it many times so I wasn't worried. But when our passengers saw our #4 prop come to a stop, it probably did not add to their confidence in air travel. 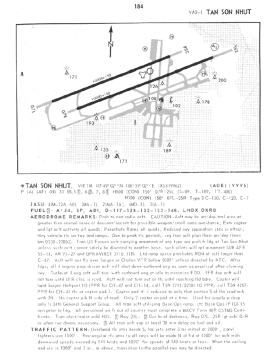 I declared an emergency, flew the Tan Son Nhut traffic pattern, and returned for a smooth landing. "It is better to be on the ground wishing you were in the air than in the air wishing you were on the ground." 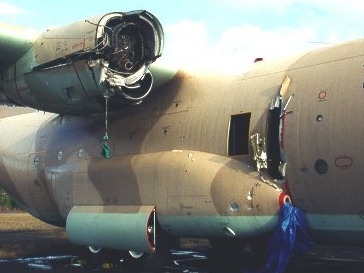 I told maintenance that they needed to really fix that airplane and that we had flown it all we were going to that day. There were no more flyable airplanes available, so we were done for the day. After 3 trips to the runway and one trip around the traffic pattern our passengers were a bit tired and cranky. We couldn't give them complimentary drinks so we sent them back to the aerial port where they had started hours earlier.